You May be interested to invest in shares and you are unable to get the base of it. Well do not worry much. Share trading is one of the alternate investment method which will give you handsome rewards if you do it properly, and it may ruin your life if you do not do it carefully and systematically. The first step of share trading is to find good companies where you can invest. There are thousands of shares are there in the market and you will have to locate good one in order to succeed in share market. 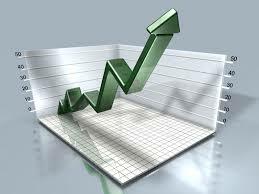 Now days share trading has become online thus allowing you to do it in the privacy of your home. However it has also bought another problem. Our exposure to the real market events. Some time a real market event may bring your share to bottom thus by loosing thousands of dollar from your investment. Or they may be a bad things happened which is going to erode the value of all shares, and you may be unaware of it or you may not be able to access the real situation to its level. The first step is to start a trading account with a registered broker of a stock exchange. Normally if your bank is having a trading facility it is always better to start with them this will allow you to seamlessly transfer funds from you account to trading account and vice verse. Once you start the account they will give you a user name and password. Never disclose username and password to any person. Treat both as password. Because an hacker or stealer has first find out your username if he want to break in. What is the best online trading method. As I suggested to start a trading account where you can have the convenience, security is the one of the best online trading method. Then make sure that the brokerage where you are registered is good financial experts who will give you financial advises. Some brokerages like angelbroking and others routinely cover some listed shares and publish the reports. These reports are amazing. So before registering better to make sure that your broker have this service and you are eligible to look their studies. Whatever may be the news, advice you take your decision after checking the financial report and profit growth. And have a look at the market and the industry they are serving.